This pocket square has been pre-folded and shaped and designed to fit into any pocket of any men's blazer or sports coat. A pocket square is the perfect accessory and completes a look. 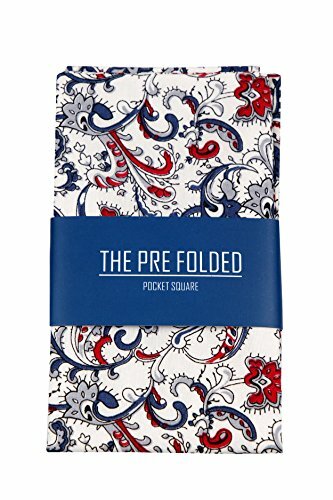 Whether it is going to be used for a formal event, business attire or just in a casual blazer this pre folded pocket hanky is the perfect men's accessory. STRUCTURE: The pre-folded pocket squares are cut to perfectly fit into and pocket of a suit, blazer or sports coat. If you have any questions about this product by The Perfect Necktie, contact us by completing and submitting the form below. If you are looking for a specif part number, please include it with your message. Elfeves Mens Spring Green Gingham Seft Tie Modern Woven Party Cool Necktie 3.15"